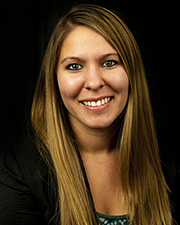 Brittany McMahan was born and raised in Visalia, California. After graduating from high school, she moved to Southern California where she attended Biola University and received her bachelor of arts degree in sociology. After college, McMahan moved back to Visalia where she soon found herself working as a sales and visitor services assistant at the Visalia Convention and Visitors Bureau. What she thought would just be a temporary position soon turned into something more permanent. Prior to working at the Bureau, McMahan had no idea CVBs existed, but after just a few months she knew the tourism industry was something she wanted to pursue. For the next year-and-a-half, McMahan continued working as an assistant, and when the opportunity presented itself to become the tourism & marketing manager at the Bureau, she jumped. She now manages the office, handles public and media relations, promotes group and individual travel, and manages the various marketing campaigns that Visalia is involved in. She enjoys promoting the Majestic Mountain Loop, which encourages travelers to visit Sequoia, Kings Canyon, and Yosemite National Parks in as little as three days, as well as sharing Visalia’s best attractions, events, and activities with people from around the world. Brittany’s favorite part of her job is speaking with travelers that are visiting from places like Canada, Germany, and the United Kingdom. Business Street Online’s “40 Under 40” Ultimate Networking Event honors and is attended by some of the top business professionals in the private and public sectors in central California who are under the age of 40. The “40 Under 40” Ultimate Networking Event will be held on November 7, 2013 at the Holiday Inn Fresno Downtown. 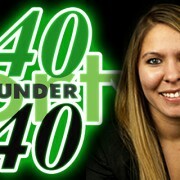 For more information, please visit www.40u40.com.